You Don't Know Mac: Woody loves Mac and Cheese! 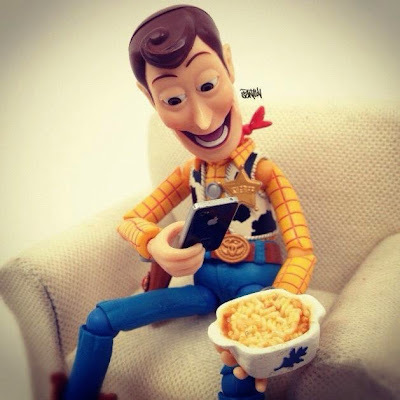 So I stumbled across this really funny photo of a toy Woody doll (a really weird looking one at that) taking an iPhone photo of what looks to be some kind of pasta dish. I'm going to go ahead and pretend it's mac and cheese so I can post it here and have it be related. The photographer has done a bunch of funny photos with Woody and other toys, too. You can check them out here.